Kyle Eastwood's band headlining the 20th Jazz Festival of Colmar. This tour follows the recording of their last album in the south of France. Highly focused, precise and talented musicians! The band's live performance was awesome and made the audience stand up. 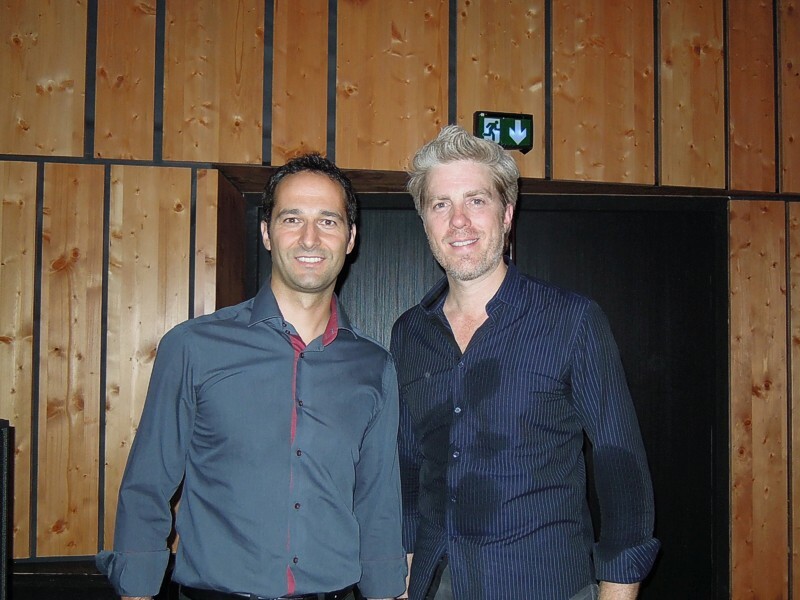 Laurent Fusilier of JMF Audio with Mr. Kyle Eastwood. It was an honor to meet and shake hands with the highly talented American bass player and composer after his concert at the 20th Jazz Festival Colmar. We are thankful to the organizer for introducing us. 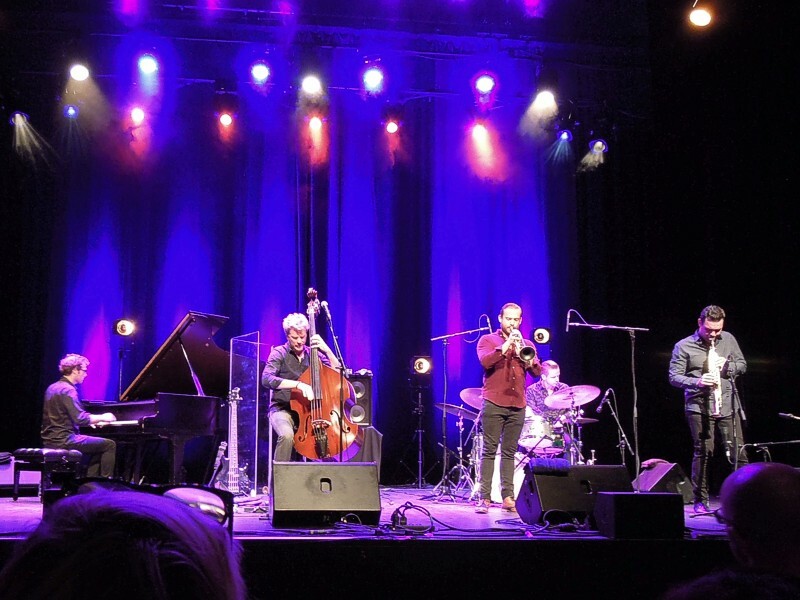 The Kyle Eastwood's incredible band performing live at the 20th Jazz Festival of Colmar. An event that could not be missed in the JMF Audio's area. 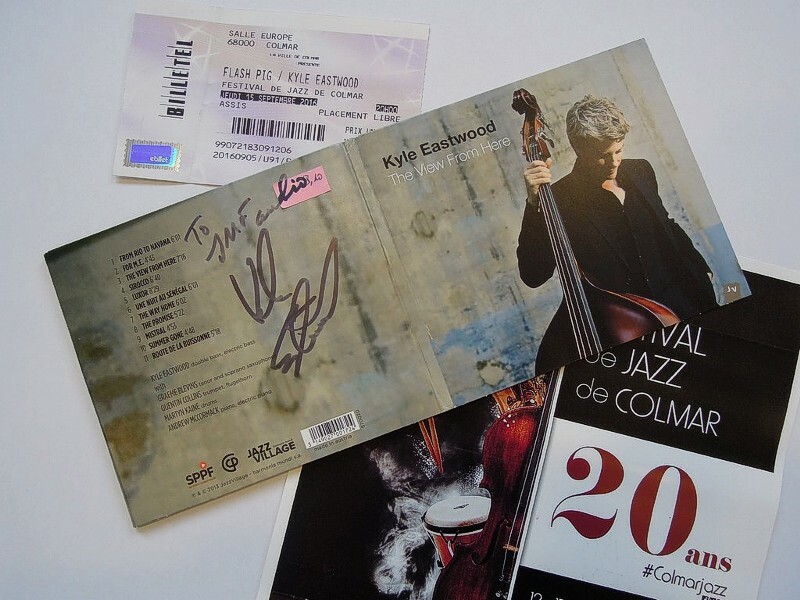 Kyle Eastwood to JMF Audio, signed on his last album which was recorded in the south of France. Great symbol for the 20th anniversary of the Festival. The memory of this wonderful concert will come up with every listening in the JMF Audio studios. The Festival was opened with great French trumpet player Nicolas Folmer. This reminded us of his band's superb live performance and our conversation in Paris last June at Ducs des Lombards, which was our night out during the AES (Audio Engineering Society) convention. Our congratulations to the organizers.